AnkiMobile is a mobile companion to Anki, a powerful, intelligent flashcard program that is free, multi-platform, and open-source. Sales of this app support the development of both the computer and mobile version, which is why the app is priced as a computer application. 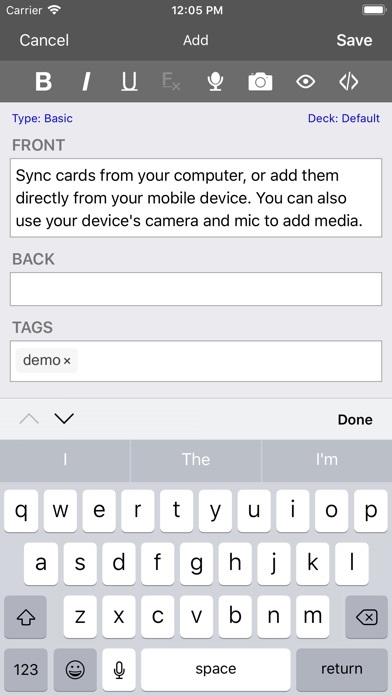 AnkiMobile offers some features not found in other flashcard apps: - A free cloud synchronization service that lets you keep your card content synchronized across multiple mobile and computer devices. 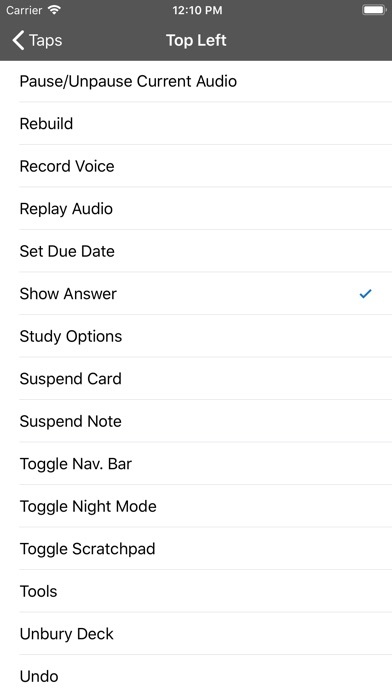 This makes it easy to add content on a computer and then study it on your mobile, easily keep your study progress current between an iPhone and iPad, and so on. - The same proven scheduling algorithm that the computer version of Anki uses, which reminds you of material as you're about to forget it. - A flexible interface designed for smooth and efficient study. You can set up AnkiMobile to perform different actions when you tap or swipe on various parts of the screen, and control which actions appear on the tool buttons. - Comprehensive graphs and statistics about your studies. - Support for large card decks - even 100,000+ cards. - If your cards use images or audio clips, the media is stored on your device, so you can study without an internet connection. - A powerful search facility that allows you to find cards that match criteria such as 'tagged high priority, answered in the last ten days and not containing the following words', and automatically place them into a deck to study. 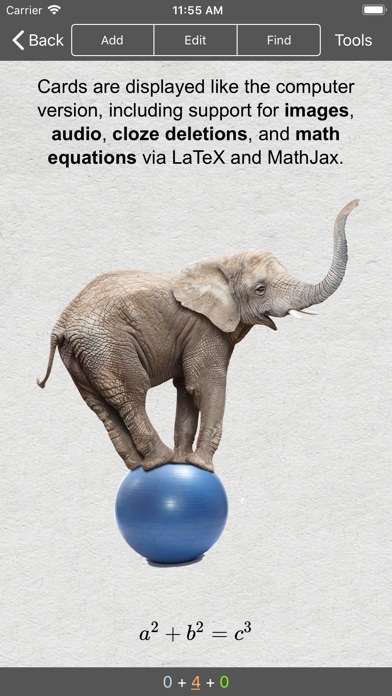 - Support for displaying mathematical equations that were added with LaTeX in the desktop software, and ruby text above Asian languages. Please note that AnkiMobile is currently intended as a companion to the computer version of Anki, rather than a complete replacement for it. While AnkiMobile is able to display your cards in the same way the computer version does, certain changes like modifying note types need to be done with the computer software. For this reason, please familiarize yourself with the computer version of Anki before you think about buying this app. Please also note that while you can use almost any language on your cards, AnkiMobile's user interface is only available in English at the moment. Aside from the cloud synchronization service, AnkiMobile also supports copying decks to and from your device via the USB cable and iTunes. Like all apps, AnkiMobile can be purchased once and then used on multiple devices in a household using the same Apple ID. Family sharing is also supported. For information on bulk discounts for educational institutions, please see http://www.apple.com/itunes/education/ For more information on AnkiMobile, including a link to the online manual, please have a look at the support page: http://ankisrs.net/docs/AnkiMobile.html If you have any questions or want to report an issue, please let us know on our support site and we'll get back to you as soon as possible. I recently found Anki through internet research and have been using it throughout this whole semester on my laptop I just recently downloaded the mobile version and while I am in pressed for the price it is it should be completely Bug-free. There’s no reason the audio files from my flashcards should have any problems playing for what I paid. The iOS version is a bit overpriced. 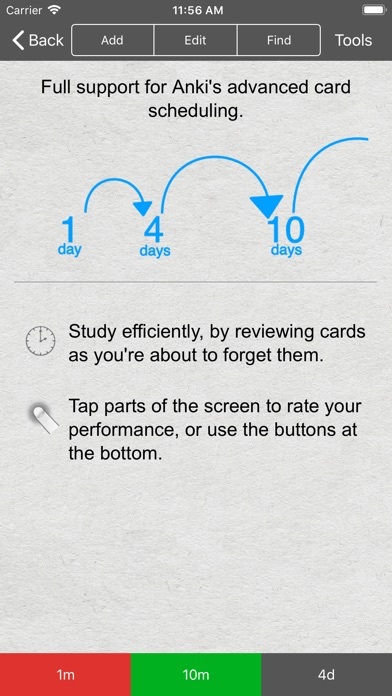 Best way to learn for memorizing lots of information and retaining it. The trick is to learn how to make flash cards that work for the material you want to study. 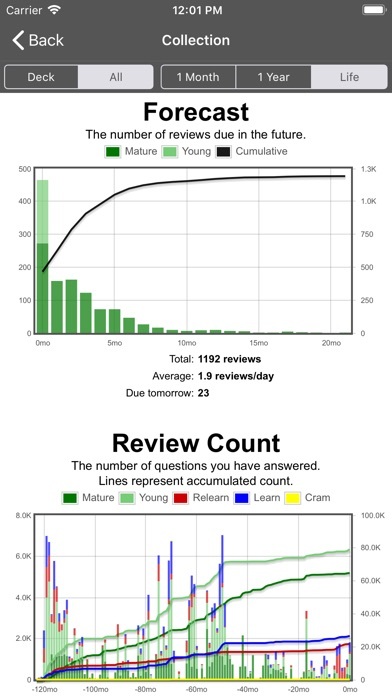 A lot of the pre-made shared decks on Anki’s database are the best for studying things already reviewed by others if you’re in need of guidance or a more efficient use of time. I have a computer but I don’t use it for anki, it’s more reliable to use the phone and when using it I wish they added like the “reverse” or typing in the answer ect. Is there any chance this app support custom sync server? The internet quality in China is too bad for syncing. Honestly confused why this is ranked so high. It's actually unusable as it doesn't automatically sync with cards online and those in deck. This App is so difficult and frustrating to use. I paid $25 because I expected it to be like the working Android version l.
I am sure this will be a great app if I can ever figure it out. It sounds like it is exactly what I’ve been looking fo, however there is a lot of time investment needed to figure it out. After buying it, I was able to easily download decks that others made—although I’ve since deleted them as they weren’t exactly what I need. I tired creating a few decks using my phone. A nightmare. I’m not really techie but I’m not too bad—I’ve had a smartphone for 10 years and I use tons of apps. I’m also a school teacher and I thought I’d be able to figure it out. Nope. As I tried reading the manual I couldn’t figure out how to creat a deck—it looks like a lot of programming instruction. It’s probably super powerful, but not user friendly. Not simple. Anyway, I was succeeding for a little bit but then I hit the word “translation” in the tools section. Not sure what it means, but it changed the face of the deck. I could not turn it off. I finally deleted the whole deck and started over. Translation mechanism is still in place. Rats. I will invest a bit more time but if I still can’t learn to easily use this, I’ll ask for a refund. Pretty sad. I was really hoping this would work.